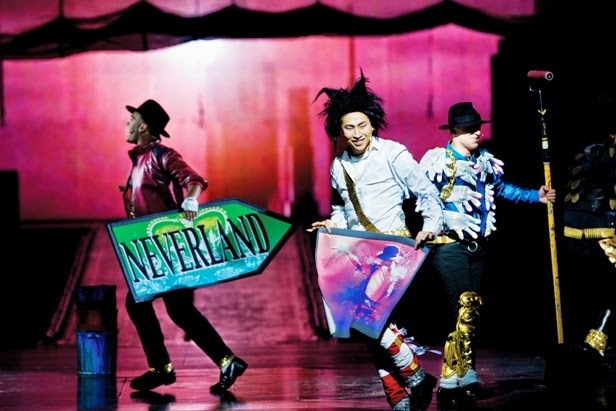 Cirque du Soleil’s acclaimed production show MichaelJackson The Immortal World Tour is finishing its three-year international run in August 2014 with performances in Cedar Park (Austin) and Houston, Texas and Mexico City and Guadalajara, Mexico. I was able to interview Khalid Freeman, a dancer who has been with the show since its beginning to get his thoughts on the show. “Being a part of Michael Jackson The Immortal World Tour is a lifetime experience for me,” Freeman says. “It’s one of the biggest things I’ve ever done. Every night is different, but it’s all about collaboration. There’s just so much going on with 49 skilled performers doing a variety of artistic and athletic endeavors,” he adds. Freeman’s enthusiasm is contagious. No wonder—with all the high flying acrobatics, contortionists, and dancers performing amazing feats throughout the show. Even with all that spectacular activity demanding eyes on the stage, it’s the musicians that make this show unique. What could be more authentic in a tribute to the King of Pop than having musicians from the actual band that played with Michael Jackson on his world tours? 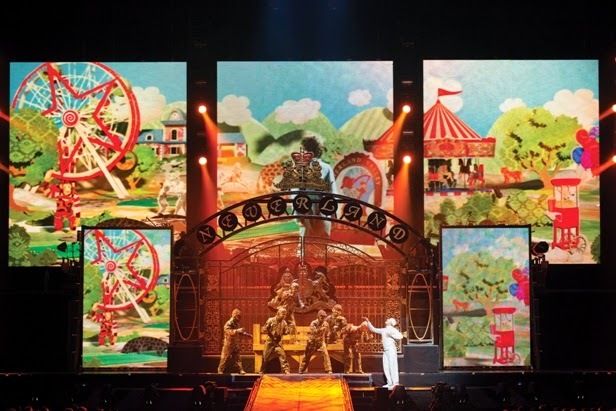 Jackson’s family supports this Cirque du Soleil creation, which has toured 27 countries and numerous cities around the world since its first performance in Montreal, Canada in 2011. Freeman has been in the show since since rehearsals began four months prior taking the show on the road. “Creating new material and learning the choreography was very physical and tedious,” Freeman said. But he is grateful for the learning opportunity and experience of being part of something on such a large scale. The Cirque show has a “Disneyland effect” because of its enormous scale and the hybrid nature of so many different talented artists melding into a show that appeals to all ages. The excitement, spirit, and energy created by Jackson’s music and legend cross generations, giving audiences a glimpse into his soul and conveying his messages of love, peace and unity. The live music vibe is almost like a rock-concert. “People in the audience want to sing along,” Freeman says. Being interactive is encouraged: There is even a flash-mob type sequence in the show that is guaranteed to bring people to their feet. From an insider’s viewpoint, Freeman believes this is one of the best shows you’ll ever see. Tickets for performances of Michael Jackson The Immortal World Tour at Cedar Park Center, (Austin) Texas on August 5 and 6 are available at www.cirquedusoleil.com/MichaelJackson or by calling 1-800-745-3000. Tickets range from $50 to $175 each.